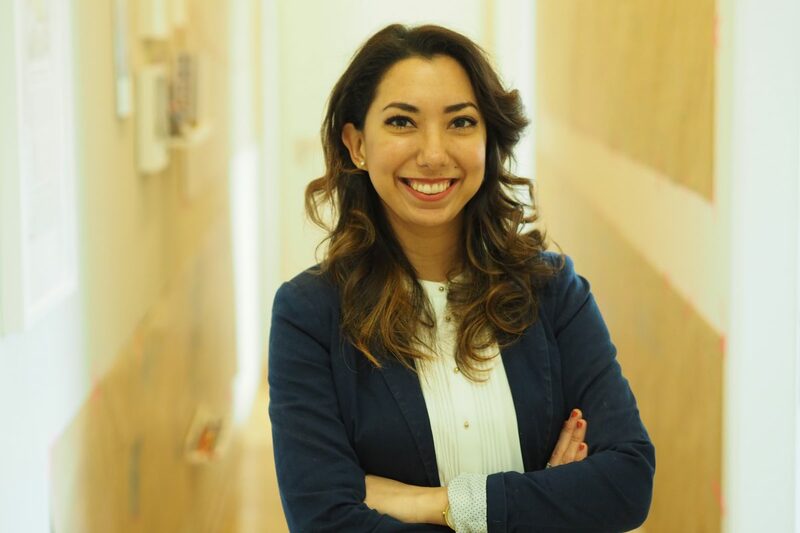 She previously interned at the Embassy of Peru in the Hague and was a visiting professional in the legal department of the Inter-American Court of Human Rights in San Jose, Costa Rica. Claudia was also a Robert Schuman Trainee at the legal affairs committee of the European Parliament in Brussels in 2017. By pouring her arbitration knowledge into this Q&A, she sheds light on relevant questions concerning the enforcement of arbitral awards in her home jurisdiction Italy. Arbitration, either domestic or international, has become increasingly frequent in Italy. It is not a secret that the Italian judiciary does not run unhampered and is shamefully overloaded (the so-called „Italian torpedo“). As a consequence, disputes in courts are not solved within a reasonable time. That is one of the major reasons why arbitration has – unsurprisingly – developed successfully in Italy. Statistics show that in the recent past, requests for arbitration have more than tripled. Therefore, it is clear that international arbitration in Italy has acquired high consideration as an effective alternative for parties to safeguard their rights and solve controversies in a more efficient manner. What is the applicable procedural law/arbitration act for recognition and enforcement of an arbitral award in your jurisdiction and which is the relevant Section? A foreign arbitral award can be recognised and enforced in the Italian jurisdiction in accordance with Article 839 et seq. laid down under Title VIII, Section VII of the Code of Civil Procedure (hereinafter “CCP”) which reflects the provisions set out in the 1958 New York Convention on the Recognition and Enforcement of Foreign Arbitral Awards (hereinafter “New York Convention”). The procedure referred to in Articles 839 and 840 has a subsidiary role regarding the New York Convention, that is the parties are not allowed to choose between the application of the New York Convention or the application of the Italian legislation. Is your jurisdiction party to the 1958 New York Convention? If yes, what is the date of entry into force of the Convention? Was there any reservation made under Article I (3) (reciprocity reservation) of the Convention? Yes, the Italian Parliament has ratified the New York Convention by way of the Law n. 62/1968. It entered into force on 1 May 1969. No reservations were made as per reciprocity under Article I (3) of the New York Convention. Which national court has jurisdiction over an application for recognition and enforcement of arbitral awards? The tribunal in the district in which the arbitral seat is located has jurisdiction over applications for recognition and enforcement of domestic awards. As regards foreign arbitral awards, an application must be submitted to the President of the Court of Appeal of the district in which the opposing party has its residence. If the latter has no residence but, for instance, assets in Italy, the Court of Appeal of Rome shall have jurisdiction. How does one initiate court proceedings for the enforcement of an award in your home jurisdiction? The party seeking enforcement of a domestic award in Italy must file a request to that effect by depositing an original or a certified copy of the award, together with the original or a certified copy of the arbitration agreement, with the registry of the tribunal of the district in which the arbitration has its seat. The tribunal, after ascertaining that the award meets all formal requirements, declares the same enforceable by decree. The award, which has been declared enforceable, may be registered (trascritto) or annotated in all cases where a judgment of the same content would be subject to registration or annotation. Transcription and annotation are two different legal instruments. The annotation shall be made at the bottom of the registered court judgment, and then inserted in a particular registry. The annotation is of exceptional character, being required only under specific circumstances by the law. Annotation and registration make public to any third party the possible modifications of the legal situations of the parties stemmed by the judgment (in this case, the arbitral award). Are there any requirements for the court to have jurisdiction over an application for recognition and enforcement of arbitral awards? If yes, what are they? Must the applicant identify assets within the jurisdiction of the court? There are no specific requirements for the recognition of awards and the applicant is not required to identify assets within the jurisdiction of the court. However, the request must meet the general requirements applicable to all judicial proceedings, such as active and passive locus standi and a legitimate interest to act. How high are the court fees that must be paid? What kind of criteria is used to determine their amount? Amount in dispute? Or are there also other criteria? As to the recognition of foreign awards, the applicant must pay court fees of EUR 98.00 and a stamp duty of EUR 27.00. Furthermore, decrees declaring a foreign award enforceable are subject to a registration tax. The amount payable will depend on the type of decision ordered by the court. For instance, awards declaring a deed null and void or the termination of a contract are subject to a registration tax of EUR 200.00, while awards ordering payment of a sum are subject to a registration tax equal to 3 % of any amount owed under the award. The amount of the registration tax is established by Decree No. 131/1986 (Tariff A, Part I, article 8). All parties are jointly and severally liable for the payment to the Italian tax authorities. How are the costs of the enforcement proceedings allocated? As a general rule, the unsuccessful party will be ordered to reimburse the opponent’s expenses, including lawyer’s, court costs and other expenses likewise. However, courts can deviate from the loser pays all rule only if no party is totally successful or there are other “serious and exceptional reasons”, that should be explicitly stated. A further exception to the loser pays all rule is when the victorious party fails to obtain a judgment more advantageous than a conciliation proposal, and he refused it without good cause, he will bear all the fees and costs incurred after the proposal was made. However, the judge can, for justified reasons, apportion the costs between the parties. Are the proceedings in your jurisdiction adversarial or ex parte? compliance with Italian public order. The second phase is adversarial, subject to the opposing party’s potential challenge of the decree. The grounds on which the defeated party may attempt to challenge the enforcement request are those set out in article 840 CPC and highlighted in question #15. What documentation is required to obtain recognition of an arbitral award? For instance, must the award be submitted in original or a certified copy? Does the original arbitration agreement have to be submitted? Pursuant to Article 839 CCP, the Party seeking enforcement of a foreign award in Italy must supply the original award or a certified copy thereof, together with the original arbitration agreement, or a certified copy thereof. The motion for the recognition of a foreign award must be signed by a lawyer admitted to practise law in Italy and powers of attorney must be attached. If the required documentation is drafted in another language than the official language of your jurisdiction, is it necessary to submit a translation together with an application to obtain recognition of an arbitral award? If yes, in what form is the translation required to be? The aforementioned Article 839 CCP requires that if the original award and the original arbitration agreement (or equivalent document) are not written in Italian, then the petitioner shall in addition produce a certified translation thereof. No further requirements in respect of the translation are specified in the CCP. However, translations are certified by an official or sworn translator, by a diplomatic or consular agent. What are the other practical requirements relating to recognition and enforcement of arbitral awards? For instance, do you need to be represented by a lawyer from the particular jurisdiction? When is service of judicial and extrajudicial documents deemed to be affected in your home jurisdiction and what does the procedure and legal framework look like? What about service to a party outside of your jurisdiction? Unless otherwise provided by law, service on an addressee is to be performed by a judicial officer following a request by a party, a public prosecutor or a court clerk. The judicial officer physically delivers the document to the addressee at his or her residence or anywhere else the addressee is physically located within the district to which the judicial officer is assigned. If service cannot be effected in this manner, the addressee may be served in the municipality of residence, at his or her home or place of business. If the addressee is not present, the document may be handed to a family member (or member of the household) or someone employed at the addressee’s place of business, provided that the individual is aged 14 years or older and has mental capacity. If the addressee cannot be served this way either, service may be made at the town hall of the relevant municipality. Alternatively, service may also be made where the addressee has elected his or her residence. This will be mandatory if the addressee’s election of residence is expressly specified in a contract. Additionally, if the addressee is a legal entity, service must be made at its registered office or, alternatively, at its statutory residence if these two addresses do not coincide. The document should be delivered to the legal entity’s representative or any other individual legally entitled to accept service. The service of documents may also be effected by certified e-mail. However, this form of service can only be used with addressees who must, by law, possess a certified email address (legal entities, sole proprietors, certain registered professionals (e.g., lawyers, engineers, certified accountants, etc.) and public administrative bodies). The court may also order, ex officio, a means of service other than those provided by law if the court considers this appropriate under the circumstances; or reasons exist concerning celerity, confidentiality or the need to safeguard dignity. For example, when it is impossible for the service to be submitted according to the rules (that is the case when a strike of bailiffs or a natural disaster occur and courts are temporally condemned). Reasons for more celerity can be found when the service is necessary for the purpose of the interruption of periods of legal prescription. Are there any differences in the procedure of the enforcement of domestic and foreign arbitral awards? There are some differences in the procedure of the enforcement of domestic and foreign arbitral awards. As regards domestic awards, according to Article 825 CCP, the court of the district in which the arbitration has its seat is competent for the enforcement of the domestic award. If the award is declared enforceable, it may be registered (trascritto) in all cases where a judgment of the same content would be subject to registration. With regards to the enforcement procedure of a foreign award, see above question # 9. Do courts recognize and enforce partial or interim awards or only final awards? Italian courts recognize and enforce partial or interim awards that contain a final decision. As to arbitral decisions ordering interim measures, the prevailing view is that they may not be considered enforceable in light of their provisional nature, lacking the requirement of “finality”. What are the grounds on which an award may be refused recognition? Do the relevant provisions differentiate between domestic and foreign arbitral awards? If yes, what are the differences in their requirements? Article 840 CCP provides an exhaustive list of cases where the Court of Appeal may refuse the recognition or the enforcement of the foreign award on the basis of the criteria established by Article V of the New York Convention. The award has not yet become binding on the parties, or has been set aside or suspended by a competent authority of the country in which, or under the law of which, that award was rendered. How does your home jurisdiction interpret and construe the public policy violation defense? Usually, public policy is of two types: domestic public policy and international public policy. The domestic public policy is understood as a conceptual category, which traditionally identifies the fundamental principles characterizing the ethical and social order of the national community in a specific historic moment and in overriding principles which are inherent in the domestic regulatory schemes. When it comes to international public policy in the context of the enforcement of foreign awards, Italian jurisprudence is more restrictive. For example, under no circumstances, foreign laws or judgments as well as private agreements shall deviate from the prohibitive provisions of the state as regards people’s rights, property, public policy and principles of morality. An additional instance of violation of public policy is to award punitive damages, as well as when basic procedural rights were violated (i.e., where the defendant was only given a few hours to submit his defence), or when the reasons of the decision are not specified in the award. In detail, for the purposes of recognition and enforcement of foreign arbitral awards, the examination of the compliance with the Italian public policy relates only to the dispositive section of the award. (Cass. Civ. Sez. 1, No. 6947, 8th April 2004). What is the effect of a decision recognizing the award in your jurisdiction? Is it immediately enforceable? According to the vast majority of scholars and jurisprudence, the decree of the President of the Court of Appeal by which a foreign award is granted recognition is not immediately enforceable. However, it can be declared enforceable by the Court of Appeal, upon request of the interested party, if no challenge is filed within 30 days of its notification to the party against whom enforcement is sought. This party, thus, in order to obtain dismissal of the exequatur decree, must demonstrate the existence of one of the grounds preventing enforcement. If a challenge is filed, provisional enforcement is possible whenever the challenge is not based on written documents or on readily available evidence and it is likely to fail. The Court of Appeal’s decision rejecting the challenge is immediately enforceable and may, in turn, be challenged before the Italian Supreme Court. Are any remedies available against a decision recognizing an arbitral award in your jurisdiction and, if yes, what are they? According to Article 825 CCP, recourse against the decree denying or granting the enforcement of the domestic award may be filed by petition with the Court within thirty days of notice to the parties of the deposit. The court, having heard the parties, shall decide in chambers by an order. The decree is a legal act granted by the court on its motion or at the request of one of the parties, generally in absence of a hearing. Normally, it is not a reasoned act, and must be duly dated and signed by the judge. An order is a legal act by means of which the judge sets the rules of procedure and solves the questions that may arise between the parties about the procedure. The judge shall make its decision by way of reasoned order. Article 840 CCP provides that, after filing of the opposition against the decree denying enforcement of the foreign award, the Court of Appeal decides with a judgment subject to recourse before the Supreme Court. What remedies, if any, are available against a decision refusing to recognize an arbitral award in your jurisdiction? That same appeals procedure as in answer to question #18 is applicable to decisions refusing recognition. Are any additional defences such as a set-off claim possible in enforcement proceedings? The foreign award may be subject to opposition only at the enforcement stage. Is it possible to obtain the recognition and enforcement of an award that has been fully or partly set aside at the seat of the arbitration? In case the award is set aside after the decision recognizing the award has been issued, what remedies, if any, are available against this decision? According to Article 840, para. 3(5) CCP, it is possible that a party may request an Italian court to refuse recognition and enforcement of a foreign award which has been set aside or suspended by a competent authority of the country in which, or under the law of which, that award was rendered. When an award is set aside after an Italian court decision recognising the foreign award has been rendered, the Italian court decision maintains res judicata effect and a party cannot petition to have it annulled. Are interim measures against assets in your jurisdiction available? And if yes, what kind of measures are they? Articles 669-bis et seqq. CCP provide the rules governing interim measures in Italy. Although the main provisions governing the recognition and enforcement of foreign arbitral awards make no reference to interim measures, it is generally accepted that these measures are available under articles 669-bis ff. CCP also in proceedings for recognition and enforcement of foreign arbitral awards. The authority to grant these measures lies with the competent Court of Appeal before which enforcement of the arbitral award is sought. In which cases may a security for costs be requested? In case of suspension of the effects of the foreign award (e.g., when the setting aside or the stay of proceedings has been applied for before the competent authority, the court seized for its recognition or enforcement may stay the proceedings) the Court of Appeal may, at the request of the party seeking enforcement, order the other party to give suitable security for costs. Additionally, arbitrators carrying out proceedings in Italy cannot grant any kind of interim or urgent measures, including security for costs. However, arbitrators can grant interim measures, including security for costs, by way of procedural orders that are not immediately enforceable but may be voluntarily complied with by the parties. 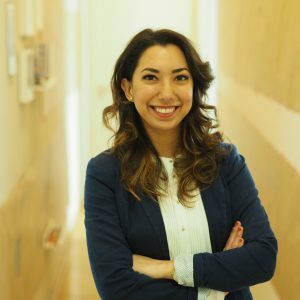 Claudia has studied law at the University of Cagliari with a specialization in international law and holds an LL.M. degree in International Dispute Resolution from Berlin Humboldt University. She previously interned at the Embassy of Peru in the Hague and was a visiting professional in the legal department of the Inter-American Court of Human Rights in San Jose, Costa Rica. Claudia was also a Robert Schuman Trainee at the legal affairs committee of the European Parliament in Brussels in 2017. Dieses Journal und die darin enthaltenen Inhalte dienen lediglich Informationszwecken und ersetzen nicht die Rechtsberatung im Einzelfall. Melden Sie sich gern bei uns, sollten Sie Fragen oder Anmerkungen haben.